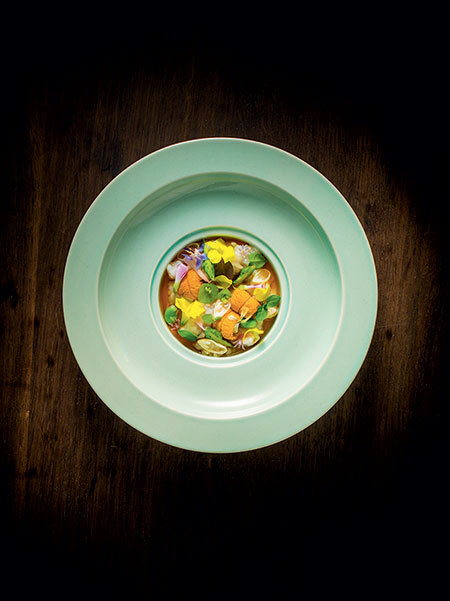 He left The French Laundry to pursue his own vision and the result is Benu, a San Francisco institution that embraces traditional recipes and techniques and simultaneously breaks free of them. We caught up with Lee to learn more about what makes Benu so unique, why he recently branched out into more traditional French cuisine and what’s in his fridge at home that might surprise you. Chefs Feed: What does the name “Benu” (phoenix) mean to you? Corey Lee: It represents regeneration, in a spiritual sense. It's a reminder to keep striving and evolving. 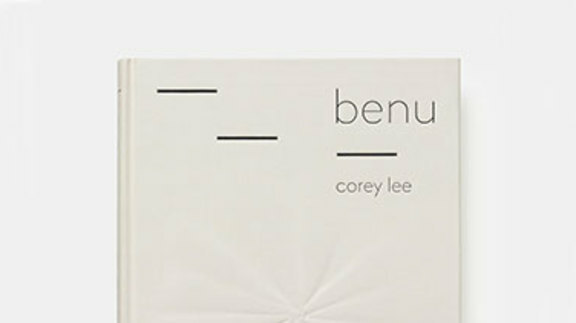 CF: Benu received San Francisco’s first three stars from Michelin this year (along with Saison). Is that something you’ve strived for? CL: I suppose it's been more of a dream than a goal, as it's something that wasn't even possible in the U.S. when I started cooking. Although we strive to achieve the standards of what a three-star Michelin restaurant represents, we've never operated with that being the focus. Michelin, like any other accolade, needs to be the byproduct of doing something you believe in and find rewarding. Cooking just for stars, or operating a restaurant with that being the primary goal, seems a bit shallow. CF: David Chang describes you as a “terrorist” in the kitchen who simultaneously commands respect. Do you agree? How do you balance demanding such a high level of excellence with motivating your staff? CL: First and foremost, the staff have to be self-motivated. My job is to provide them a platform for learning, working with great products, cooking for engaged diners, and interacting with passionate professionals. Demanding a high standard of excellence is absolute; finding meaning and value in excelling in that kind of environment is up to the individual. CF: You describe Benu’s style as very reflective of San Francisco as “a cultural amalgamation,” with various ethnic groups that have “integrated into the rest of society, resulting in a culture unique to the city.” Could Benu exist in any city other than San Francisco? CL: I think I could have opened Benu in another city, but it wouldn't be the same restaurant it has become. There were influences, like the one you reference, that have helped shape our identity over the years. I'm sure that we would be a different restaurant if we were somewhere else. CF: Why did you decide to open Monsieur Benjamin, a French bistro, last year (with Jason Berthold as executive chef)? CL: It was an opportunity to stay connected in some way to French cuisine, which I have been working with for many years. But ultimately I opened it out of a personal desire as a diner. Jason and I longed for a French restaurant that uses great ingredients with sound technique to make tasty and consistent food but isn't too cerebral or fussy. There's a place for restaurants that focus on creativity with a personal narrative, but this is not that. CF: What’s one item in your fridge at home that might be surprising to people who don’t know you? CF: What’s your favorite thing to eat on a rare day off? CL: Anything homemade, just as long as I’m not the one cooking.